Valdes-Scantling caught three passes for 43 yards in Sunday's loss to the Lions. Valdes-Scantling caught five of nine targets for 75 yards in Sunday's 44-38 overtime win over the Jets. 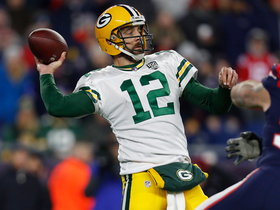 Analysis: Quarterback Aaron Rodgers tied his season high with 442 passing yards, and he was able to get Valdes-Scantling involved in the offense following an extended cold spell. 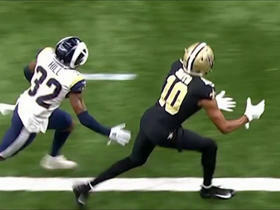 The 24-year-old wide receiver preceded this effort with five consecutive games featuring fewer than 20 receiving yards in each, so we'd still exercise caution before plugging him in when the Lions come to town in Week 17. Valdes-Scantling caught one pass for 12 yards in Sunday's loss to the Bears. Valdes-Scantling caught two passes for 19 yards in Sunday's victory over the Falcons. Valdes-Scantling caught two passes for 19 yards and had two carries for 29 yards in Sunday's loss to the Cardinals. Analysis: The rushing yardage boosted Valdes-Scantling's overall production, but he still finished with fewer than 20 receiving yards for the third straight week. 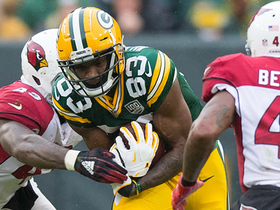 Changes could be coming in the Packers' offense in the wake of the firing of head coach Mike McCarthy, but Valdes-Scantling's recent output, coupled with the return of fellow receiver Randall Cobb, makes him tough to trust in Week 14. Valdes-Scantling caught one of two targets for three yards in Sunday's 24-17 loss to the Vikings. Valdes-Scantling brought in one of three targets for eight yards in the Packers' 27-24 loss to the Seahawks on Thursday. Valdes-Scantling caught six of seven targets for 44 yards during Sunday's 21-12 win over the Dolphins. Valdes-Scantling should continue to maintain a prominent role within the Green Bay offense with Geronimo Allison expected to miss several weeks following surgery to address a core-muscle injury, Rob Demovsky of ESPN.com reports. Valdes-Scantling caught three passes (six targets) for 101 yards in Sunday's 31-17 loss to the Patriots. Valdes-Scantling will start for the inactive Geronimo Allison (hamstring/groin) during Sunday's game in New England, the Packers' official site reports. Valdes-Scantling could see regular snaps in three-receiver sets in Sunday's game against the Patriots with teammate Geronimo Allison (hamstring/groin) listed as doubtful, Rob Demovsky of ESPN.com reports. Valdes-Scantling was on the field for 30 of the Packers' 52 offensive snaps (60 percent) in Sunday's 29-27 loss to the Rams. That snap count outpaced starting wideouts Geronimo Allison (30) and Randall Cobb (24). 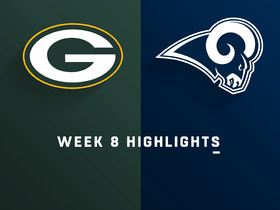 Valdes-Scantling caught two of five targets for 45 receiving yards, including a 40-yard touchdown catch during Sunday's 29-27 loss to the Rams. Valdes-Scantling is expected to shift back to a reserve role Sunday against the Rams with both Geronimo Allison (hamstring) and Randall Cobb (hamstring) active for the contest, Tom Silverstein of the Milwaukee Journal Sentinel reports. Valdes-Scantling caught three of six targets for 103 yards in Monday night's 33-30 win over the 49ers. Valdes-Scantling will start for an absent Geronimo Allison (hamstring) on Monday against the 49ers, Adam Caplan of SiriusXM Radio reports. Analysis: The start will mark Valdes-Scantling's third in a row due to the injuries that have decimated the Packers' receiving corps of late. In the previous two, he combined for eight catches for 106 yards and one touchdown, including a 7-68-1 line on 10 targets at Detroit in Week 5. 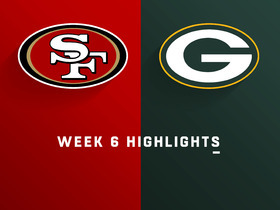 A similar volume likely can be expected against the 49ers' 15th-ranked pass defense (253.8 yards per game). 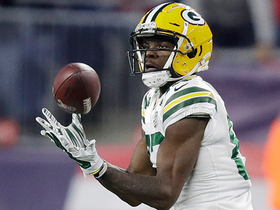 Valdes-Scantling is expected to serve as a starting receiver for the Packers in Monday's game against the 49ers with Randall Cobb (hamstring) and Geronimo Allison (hamstring) on track for inactive statuses, Tom Pelissero of NFL.com reports. Valdes-Scantling brought in seven of 10 targets for 68 yards and a touchdown in the Packers' 31-23 loss to the Lions on Sunday. Valdes-Scantling will earn a second consecutive start Sunday at Detroit with both Randall Cobb (hamstring) and Geronimo Allison (concussion/hamstring) inactive. Analysis: Valdes-Scantling has notched 66 snaps on offense the last two games, but the elevated workload has translated to only one catch (on four targets) for 38 yards and no touchdowns during that stretch. He'll be the clear No. 2 option Sunday, though, which should increase his exposure behind top wideout Davante Adams. Valdes-Scantling has received the bulk of the reps with the first-team offense during practices Wednesday and Thursday and could have a significant role in Sunday's game against the Lions, Wes Hodkiewicz of the Packers' official site reports. Valdes-Scantling caught one pass for 38 yards in Sunday's victory over the Bills. Valdes-Scantling will get the starting nod in place of Randall Cobb (hamstring) Sunday against the Bills, Jim Owczarski of the Milwaukee Journal Sentinel reports. Valdes-Scantling caught one pass for three yards in Sunday's tie with the Vikings. Analysis: Valdes-Scantling played just six snaps Sunday, but that was four more than he was on the field for in Week 1, and it was still enough to allow him to notch the first reception of his professional career. He seems pretty locked into the No. 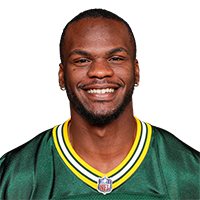 4 spot at his position on the Packers' depth chart as of now, but with three talented and productive receivers ahead of him, his contributions will remain minimal as long as the top trio remains healthy. Valdes-Scantling played two snaps on offense in Sunday's victory over the Bears and was not targeted. He also returned a kick for 21 yards in the contest. Analysis: The two snaps Valdes-Scantling received Sunday were the fourth most among all Packers receivers, but the minuscule number illustrates just how far away he is from contributing to fantasy squads. Valdes-Scantling caught three passes for 41 yards in Thursday's preseason finale against the Chiefs. Analysis: Valdes-Scantling totaled just four receptions for 56 yards in three games after topping the century mark in the Packers' exhibition opener, but he still led the Packers in receiving Thursday, and was generally the most impressive of the team's three rookie receivers during training camp. As such, there's a good chance he breaks camp with the Packers, but even if he does, he would play a minor role at best in Week 1. Valdes-Scantling caught one pass for 15 yards in Thursday's preseason contest. Analysis: Valdes-Scantling burst onto the scene in the Packers' first exhibition game by topping the 100-yard mark and finding paydirt, but he was far quieter in Thursday's contest. Among Packers receivers fighting for roster spots, only Jake Kumerow really shined Thursday night, so Valdes-Scantling didn't lose much ground, if any. 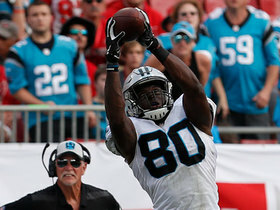 Valdes-Scantling caught five of seven targets for 101 yards and a touchdown in Thursday's preseason win over the Titans. Analysis: Valdes-Scantling had not made a lot of noise in camp prior to Thursday, but he impressed in his first game action as a pro, making a nifty catch for his touchdown and also hauling in a 51-yard pass from DeShone Kizer. It goes without saying, but Valdes-Scantling certainly made a strong statement for a spot on the Packers' Week 1 roster. Valdes-Scantling is pleased with his progress learning the Packers' playbook, Mike Spofford of the team's official website reports. Green Bay Packers wide receiver Marquez Valdes-Scantling rushes for a 21-yard gain. 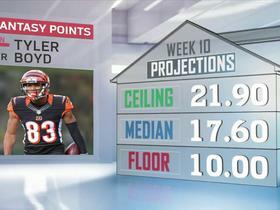 NFL Network's Cynthia Frelund breaks down the ceiling, median and floor of several intriguing starts heading into Week 10. 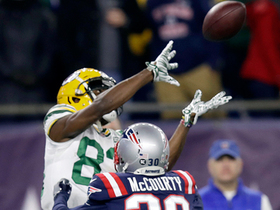 Green Bay Packers wide receiver Marquez Valdes-Scantling soars above two Pats to grab 24-yard pass. Green Bay Packers quarterback Aaron Rodgers throws pinpoint strike to wide receiver Valdes-Scantling for 26 yards. Green Bay Packers wide receiver Marquez Valdes-Scantling sprints past New England Patriots defensive back McCourty for huge gain. 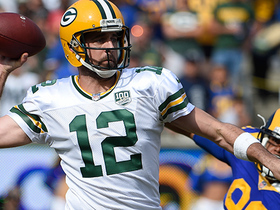 Green Bay Packers quarterback Aaron Rodgers finds his wide receiver Marquez Valdes-Scantling open deep for a 40-yard touchdown.